I want to say how touched I am by those who so kindly sent me their good wishes in comments for the last entry. It's been said that we don't live our lives - life lives us. Arriving at 60 is a tremendous passage for me. I remember meeting Dana Dakin, founder of Women's Trust in Ghana, who said that there were three life passages: first you learn, then you earn, and finally, you return the gifts you've gained to the future. Certainly, I feel the "lightening" that comes with transit into my 6th decade. I have the urge to get rid of things that weigh me down, aren't relevant, demand my attention in some way. Old love letters that just make me sad, pretty dresses that no longer fit and probably never will, dusty boxes of mementoes, weary assumptions, heavy handed beliefs, habits of mind that once were useful, but now are boringly repetitious. I see that most of my assumptions are erroneous, block my vision, and are probably unfair to somebody, somewhere, including myself. Unused possessions require care, require storage, require energy, require memory. Time to light-en up. 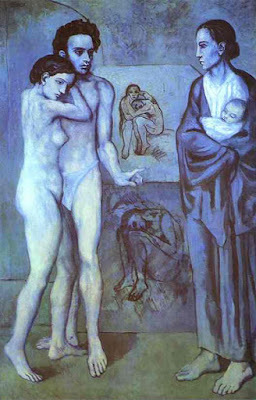 A reporter once asked Pablo Picasso, at 90 or so, what he thought, after such a long and distinguished career, his greatest work was. He immediately replied "The next one." I've been reading a wonderful book by Natalie Goldberg on writing and Zen, called "Writing Down the Bones". She tells of meeting the writer Meridel le Sueur. In her eighties, Meridel told her that she lived nowhere. She visited people and places, writing wherever she was. The elderly writer asked Natalie if she knew a place to purchase a used typewriter. When she is ready to leave, she said, she will give it away so she doesn't have to take it to her next destination. Now that I understand. Why should one wish to lug a typewriter around, or a bulky suitcase, or for that matter, an old grudge, a worn out storyline, or an exhausted persona? This is the lightening of the heart and mind called for when we reach the "Return" phase of our lives, whether that occurs at 30, or 80. The balance that the Goddess Maat demands when she weighs hearts at the passageway. 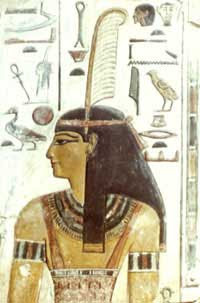 Maat's name, literally, meant "truth" in ancient Egyptian. 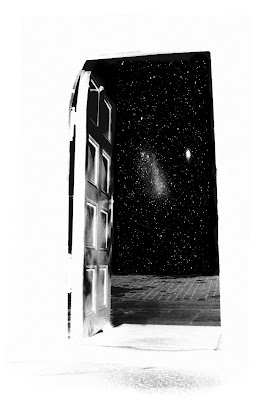 Her questions do not "damn" those who wait before the door....but without answering them, without finding the truth of one's life, no passage to other realms is possible. Maat's questions are the questions each soul must answer sooner or later. "Who have I not forgiven?" "What have I done that I cannot forgive myself for?" "What part of my life story have I not been able to forgive?" "What am I unable to let go of?" I am always stunned by the wisdom found in language we so unconsciously take for granted every time we open our mouths. (and each language has its singular depths of meaning). In our English usage, to "fore-give" is to do just that - to give the energy forward. To the future, to the unknown, to new possibilities of good relationship and shining creativity, high adventure. As well as the evolution of wisdom and full circle compassion. When we don't fore-give, we're left dragging around psychic baggage, grey thought forms, stories told so many times they have lost any semblance to the truth. I am not saying that fore-giveness is not a complex process. Sometimes it involves working through unconscious layers of experience, telling our story over and over until it can be seen, and sometimes we need help to do these things from wise or impartial listeners. But ultimately I believe fore-giveness comes from being able to gain a wider perspective, the Soul's perspective. Being able to see the broad weave of our lives, the ways we were challenged and deepened by our experiences, our betrayals, our failures, our losses, our ignorance. I remember years ago there was a man I was attracted to. The eros of my experience fueled enormous creativity in me. His considerable talent inspired me as well. And because I had a lot of half-baked, naive ideas, and did not know how to confront him, he also had a lot of fun manipulating and humiliating me, probably, just because he could. I still cringe when I think about it. But until I was able to fore-give him and myself, I was unable to see the gifts in that experience. Had I not met him, I would not have created what I did. And I also probably would not have moved through naivete I had outgrown, and more importantly, a "victim" template I was deeply entrenched in. Ultimately, he empowered me. That's the paradox of Maat's Truth. Raukkadessa is a Finnish term Kathy Huhtaluata uses in her Saami inspired music. It means, she told me, "beyond love". I find it profound - because even love, as we experience it, can be a veil, impenetrable in the present moment, and beyond is something beyond the pairs of opposites, beyond time itself. Beyond love is the the soul's love, the greater pattern. A Buddhist once told me that we should cherish all sentient beings, because, from the perspective of reincarnation, any sentient being you meet has at one time or another been your mother, brother, lover, enemy, has been your food, or has devoured you. One thing is certain. When we don't fore-give, we are unable to move fore-ward, because we are stuck in the past. And from my perspective, one of the wonderful things about having had the privilege of achieving the maturity of 60 years, is that one has the means and experience to finally know just that. The rest is just practice. Carrying water, and chopping wood. ** This was from a 2002 performance I did with Dorit Bat Shalom, Mana Youngbear and Valerie James in Oakland. The actual questions of Maat are in various translations - we recited some of them in the background, in English and in Hebrew (since we lacked a native speaker of ancient Egyptian) while a dancer performed in the mask of Maat. On a more prosaic note, the California Renaissance Faire just finished, and for the first time in 30 years, I actually lost money on the show. When this happens, it's time to hang it up. So, I guess I'm now unemployed. I remember a lot of incarnations on the "circuit". 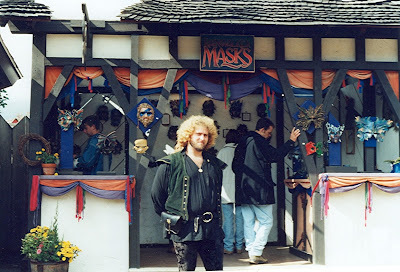 From being a dancer in the early 70's, to a Tarot card reader at the N.Y. REnfair, to the mask empire I had for a while with three permanent booths in the 90's. I remember............so much. 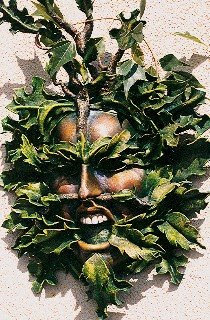 I may very well be the first mask artist on the "circuit" to create pagan mythological masks. I'll say it here, and be done with it, but just about everyone who has ever worked for me or even with me now has a mask business, and usually it includes some design and certainly techniques gained from me. I've put "fairies', "butterfly masks", and "greenmen masks" on the map. I won't say that it hasn't pissed me off sometimes..........still, it's how it is in our world. And in the big picture, I'm glad that I not only shared the art, but helped people out. One of many, many Green Men. 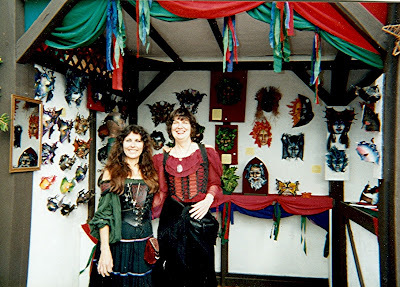 This was with my ex husband, Duncan Eagleson, a talented artist. 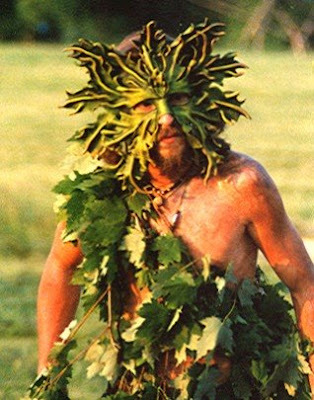 This is the "rock and roll" Green Man. 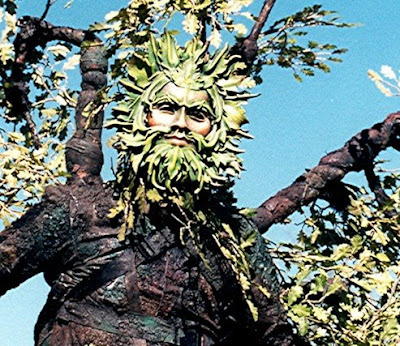 Hey, now that I think about it, I've helped to re-populate the world with GREEN MEN. As professions go, one could do worse. Me when I was younger and in love with Kerry McNeil, the Bagpiper from Glencoe. I wonder where he is now? Handsome and ornery as ever, no doubt. 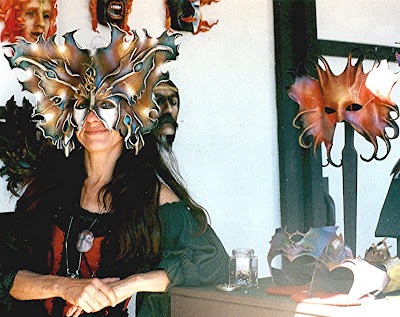 One of the many mask makers I've taught is Peggy Linich and her Satori Masks...........and she recently not only thanked me, but called me a "master". Well, hey! I guess I am! A Master! What do you know! Time has come for me to say thank you, forgive everyone including myself, and wish I could have all the many, many people I've loved and met and danced with on the road........together in a large room with lots of good food and wine for one last Huzzah! Except for Internet sales, or if I have the chance again to make special masks for theatre and ritual, I think I won't make masks anymore. I did my best work with the MASKS OF THE GODDESS collection. My intention was to create a group of Temple Masks, and I did, and they served that function. To be honest, I just don't want to make commercial masks as primary income any more, not when I've had the experience of making masks that served so much more. And ready for something new.................Huzzah! It was a wonderful adventure, and there were many, many good times. My love and gratitude to all my fellow gypsy travellers. And it's true what they say.....old Rennies never die, they just keep on rolling. "Are you going to Scarborough Faire? "We are the great work of art in progress. WE, ourselves." 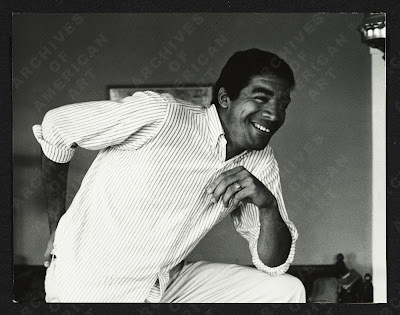 I decided to post this interview and article I wrote about Rafael Ortiz (from an unpublished manuscript) because it is harmonious with the writings of David Abram in the previous Blog Entry. Rafael, although I am sure he does not know it, was an enormous catalyst and mentor to me as I floundered about trying to find a sense of purpose as an artist. Rafael Montanez Ortiz has been a controversial artist since the early 1960's. His sculptural and video works, and documentations of his performances, are included in many collections, including the Museum of Modern Art, the Whitney, and the Musee d'Art Moderni in Brussels. He was the founder of the Museo del Barrio in New York City, and is also a writer and an educator. 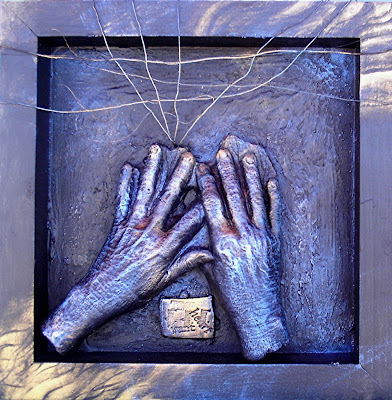 Dr. Ortiz has been a Professor of art at Rutgers University for over 30 years. In the early '60's, Ortiz was known for his Deconstructed works. When he demolished a sofa in 1963 for his Archeological Finds series, the Art World became excited about "restructuring the ready-made" into something else. That was interesting stuff....but what was actually significant to Ortiz was the act of de-construction itself. The sculptures were artifacts, residue, archeological finds left behind by the release of force. Ortiz came to believe that destructive energies could be released within the "appropriate arena" of art - it could be addressed as both an aesthetic and psychic process, an emotionally transformative means of revealing and exorcising the personal/collective shadow. In 1966, Ortiz attended the DESTRUCTION IN ART SYMPOSIUM (DIAS) in London. His first Piano Concert was at the request of the BBC. In "concert" with Anna Lockwood, a classical pianist, and film maker Harvey Matusow, they systematically "deconstructed" a piano. "Destruction has no place in society", Rafael Ortiz wrote, "It belongs to our dreams - it belongs to art." When I read this, I thought of the Iroquois, who held a five-day midwinter festival called the "Feast of Dreams". Here members of the tribe brought their significant dreams to the Circle, to be shared and interpreted. If a dream expressed a "soul wish", the tribe endeavored to help the dreamer to work it through, by symbolically dramatizing it for them. 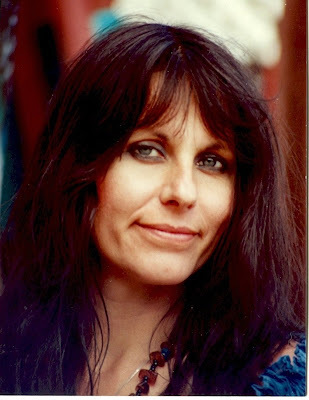 In the 1960's, Ortiz became interested in the human potential movement, and studied Tantra, Sufism, and Bio-energetics. 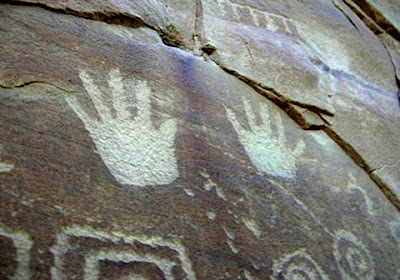 In 1978 he took a leave of absence to attend the Rocky Mountain Healing Arts Institute in Colorado. 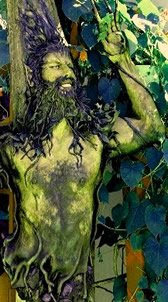 There he studied body-centered healing techniques, including re-birthing. 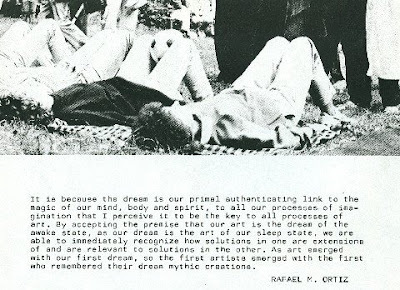 He found that his studies of healing technology corresponded to a long interest in tribal shamanism and native spiritual traditions, wherein fasting, duration running, sleeplessnes s and physical ordeals were often used to seek vision, to enter what Ortiz calls the Dream. "And what is the Dream?" I asked. "The Dream" he responded, "is the original Art Process." After returning from Colorado, Ortiz developed Physio-Psycho-Alchemy, his Inner Visioning performances. Each Performance begins with the participant lying on the floor, squeezing a large plastic ball between one's calves. The participant/performer is instructed by Ortiz to concentrate on breathing deeply, and applying continual muscular pressure on the ball. The body begins to arch involuntarily - it is as if one is pulled up from the center of the chest. This spontaneous flexing is a release of energy - what he calls physical and emotional "armoring". By maintaining pressure on the ball, a muscular tension develops which, in combination with concentration upon the breath, creates an altered state of consciousness, a trance state that is visionary, dreamlike, and often emotionally revealing as well. I myself participated in only one performance. My body increasingly shook, and it was difficult to maintain the breath work. I experienced a gradual intensification of subtle movements of energy - at one point, I literally had the sensation of a "spinning wheel" concentrated in the region of my heart. It was as if a wheel revolved there, made of blue light, pulling me up from the chest without any effort on my part. Within the vortex were many incipient images. It is at this point that Ortiz invites the participant-artist to begin the Inner Visioning process, to pay attention to the images and sensations, memories and emotions that arise. Participation in Physio-Psycho-Alchemy is an ongoing "work in progress". Some performers, in a kind of conscious, lucid dream, relive primal memories from childhood, or what they view as memories from past lives. Others, as visionary travelers, contact an inner landscape, a country where they encounter beings that converse with them, archetypal forms that illuminate and surprise. This is not something one has an interesting intellectual encounter with, like viewing an exhibit at a museum. Something to "get" and aesthetically move on. It is experienced on levels beyond and below intellect, and the artist/dreamer/performer is both Director and Actor, shaping his or her own performance. Rafael Ortiz has also created a series of sculptures he calls Waxworks. He collected objects from acquaintances, which he then imbedded in wax, along with the stories about those objects which are written on clear acetate. The objects imbedded in the semi-transparent wax derive from events that had profound affect upon the lives of those they belonged to. The wax, thus, holds their actual experience, as well as their stories. "Wax is, for me, a Transformative medium. We talk about the moon waxing and waning, we talk about a wax museum...in other words, time and the history of time is held in this medium. It's transparent, but not as ephemeral as ice, which can turn to water and evaporate. Wax is a medium that is fluid, that can solidify and melt in the heat of life." Rafael: Psychogists often view early religions, shamanism, as related to insanity, and that's incorrect. It is a logic process that is "paleological", meaning it is a predicative and sub-predicative association, allowing one to find the relationship between things which ordinarily you wouldn't find. Within the very powerful context of metaphor. You run fast, a deer runs fast, you're a deer. This is an issue of belief. That belief exists, in and out of trance. The trance is only the vehicle for further revelation. Rafael: He or she places themselves there for vision, but he or she is already there. In other words, Paleologic is operative as a culture process. Very much like the Senoi, who work with the dream and all of its contradictions on a daily basis, which psychoanalysis would call very neurotic, psychologically distorted, pathological. And that is ridiculous! A culture that shares its dream daily moves Paleologic into a culture process, information that is exchanged between members of the community, and is valid and rational. It's not "we're all being crazy now". That's how we see it. Paleologic is a holistic kind of reasoning, the sense of oneself being part of the universe, and everything being a part of everything else. It's their sanity. When we feel that, and are then overwhelmed because of our own contradictions, submerged anger, and so on....then all these associations overwhelm us and we are "insane". Lauren: Are you saying that much of what we now must examine concerns a return to the past? Rafael: Yes. A return to something already accomplished thousands of years ago by native cultures of the world, something we buried in our most recent history. Rafael: You can break logic down into Platonic logic, which is ideal, Aristotelian logic, which is more practical, the logic of subject, and then Paleologic, the logic of predicate and sub-predicate association. Once you become ideal, you find things are not related, but are separated, ideally separated. At the Aristotelian level, the world is seen in an even more complicated way, everything breaks down. In Paleologic there is the concept of holistically defined relationships between everything on all levels. The culture that is holistic is holistic because its reasoning structure is holistic. The problem we have with holism is that our reasoning is fragmentary, it removes us from relating things, it structures things in separate compartments in order for us to "have control". Rafael: Destruction, viewed from our cultural perspective, is the result of a sense of injustice, deprivations, a sense of disenfranchisement, whether coming from the real experience of being disenfranchised, or simply having a tantrum at not getting what you want, that is accumulated. Not everybody wants to become a boxer or a hockey player, which are outlets for that aggression to be released within an acceptable game structure. Generally, there is no arena within which these forces can be released. Art, being available to everyone, is the perfect arena within which these rituals can occur to bridge gaps between one's conflicts, and one's having to be in the world in some humane way. Rafael: Yes, but it becomes re-integrated, evolving to where you are finally sacrificing subtle things, like your ego, your loyalty to an environment or worldview that keeps you from a holistic consciousness. Sacrificing objectification. 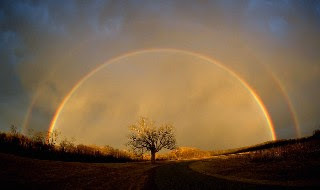 Not to be entranced forever, to be "blissed out" in some self-indulgent ecstatic state, but to be appropriately connected with the life force in everything. That's where my work Physio-Psycho-Alchemy begins: the work is then on a level wherein higher purposes can be addressed and accomplished. It's like a trip into Hell, moving in a spiral up to Heaven. But through the experience of your Hell, so you can be integrated and released. Thus, it doesn't become a service for holy wars. There are many who want to move into their higher purpose, but deny, haven't resolved their lower purposes, their shadows. They assume they can simply discard it. These are the people who start a jihad. Physio-Psycho-Alchemy is about releasing a muscular and skeletal hold that consciousness has on the body as it concerns itself with gravity. You can then begin to feel the power of the life force. It's like floating on the surface of a body of water that is in wave action; and as we give ourselves up to it, we gradually become conscious of the life force, we're letting it flow. That's one level. The breath moves us from an acid state. We release carbon dioxide, which is acid, and taking in more oxygen, we move to an alkaline state, which excites the central nervous system. The central nervous system then begins to release information, imagery. So, as the body releases, the central nervous system sends energy and information. It's as if every cell in your body makes a phone call to you at the same time. At that point, you can feel a pull from the heart center, up to the center of the universe, and you go through that dance, feeling it pull you up without any effort. Then you're ready for the Inner Vision work. Often, I keep suggesting that the participant goes back to the release, the breath, the next level, in order to not become entranced by suddenly becoming aware of something he or she has never been conscious of before. It's important to combine releasing with the breath work, and experience a complete release before going on to the Inner Vision work. At the beginning of the work, you have to pay attention to where you conserve energy, where your "armor" is. At the first level of the work, you're becoming conscious of how you hold your body. With breathing and muscular techniques, we learn how to "let go" of the body, and we don't see it as "losing control". With Physio-Psycho-Alchemy, you re-acquire the assurance that you are in complete control, you can give up the body to the nervous system: and as you give up the body, you begin to be conscious of it. There is an interdependency not unlike quantum mechanics. The more attention you pay to the particle, the less able you are to locate its position. When you consciously "let go" of the body, you consciously "let go" of space and time. Lauren: When I did my session with you, I experienced an intense shaking. What was that? Rafael: The shaking is the release. What's shaking is your own armor, and that takes time to release in preparation for the deeper levels of the performance, the Inner Vision work. The average number of performances for a participant is about 12. Rafael: How is this not art is really the question. Art is not something that is "in the eye of the beholder". That's like saying "life is in the eye of the beholder". Art is an inherent part of being itself. We can say that art is the imagination of form, and that within some greater metaphysic, it is the soul's imagination, encapsulating a history of being, that then seeks the flesh of matter to be. It's called incarnation. In terms of art process, if you can understand that, see where it begins, you can certainly then envision the imagining itself, in your day to day life, as being works of art. Dreams, awake and asleep imagining. We are the art material, the great work of art in progress: we, ourselves. Rafael: The dream is where the important formulations, solutions and relegations occur. It's the state within which the mythic potential that is ours unfolds, and teaches us. We've lost touch with that. Native cultures give integrity to that process. Again, when I say native cultures, I mean the original cultures of the world, whether we talk about Sumerian, Celtic, Native American, the Mayan, the Hopi, the African shaman.....those cultures within which the dream was central to their evolutionary development. Our civilization sees the dream as irrational. I remember actually reading once about some scientist trying to invent a pill that would eliminate the toxin secreted by some gland in the brain that would then eliminate dreaming! We want to eliminate it, because we are a culture that is still suffering from nightmares, in contrast to the Senoi in Malaysia, where there is no nightmare, it's all been integrated by the time one gets through adolescence. Then, your dreams serve your highest creative potential. The dream is for counsel, whether it's finding solutions for an illness, or ways to engineer a bridge that has to be built. So, the dream becomes the original art process, the art process that is inherent to our being, our imagining, our creativity. We daydream, we sleep dream. That imagining is the original art within which we make this bridge. I was reading a newsletter recently that espoused the most insane notions of what our economy should be like. It was something that is published and distributed to people who are interested in investing in stocks, buying gold and that whole business. What it advocated, without any self-consciousness whatsoever, was the idea of an economy absolutely free of any control. Wherein there was no concern for the support of any persons in society, or for the planet for that matter. Being your brother's keeper, humanism in such light is seen as witchcraft, subversive, un-American. That to me is psychosis. Rafael: It is participatory within this idea that art is "actual". It's important for the audience to not be passive. To avoid an abstract/cognitive notion of involvement. The abstract/cognitive allows one to violate physical realities. We can find all sorts of amazing rationalizations through abstracting that remove us from feeling, from empathy. For me, art that utilizes only cognitive ability is teaching us, at the mythic level, to shift away from the body as a complex sensory experience that can tell us when we've shifted away from higher purpose, from compassion. Rafael: The brain isn't just in our heads. The brain is the entire body, which includes the aura, all of the etheric networks that exist between us and all life. Whether we're talking about a forest, or another person, the abstract/cognitive removes us entirely from that experience of communion, the ability to sense what is going on. These ab stractions become what is going on. 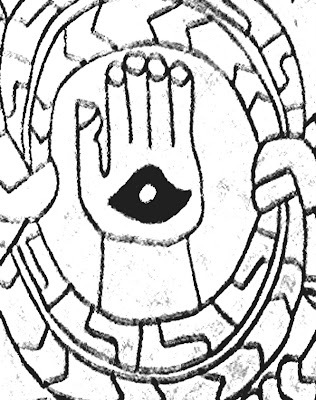 Lauren: Would you say that you, as an artist, are creating a new shamanic tradition? Rafael: No, I don't want to presume so much about what is traditionally so brilliant and powerful. I would be happy if I could meet it halfway. Within the participatory traditions in art, there is no passive audience. That's a recent idea, which is part of the compromise, the tears and breaks from arts original intentions. The ancient art process was a transformative process; it wasn't a show, it wasn't entertainment. Art becomes entertainment within a culture that objectifies. If one can enjoy that transformative experience, and certainly in early cultures it was enjoyed, you could perhaps say it was "entertaining". When you say entertainment now, what is meant is that it doesn't change you in any way, what it does is to help you to forget. We need to see ourselves again as part of a brilliant, shimmering web of life. An artist at some point has to face that issue. Is the art connecting us and others in some way, or is the art disconnecting ourselves and others? I think it's not enough to just realign ourselves personally either - our art should also do that for others, and further, it must happen outside of the abstract. It must be a process that in its form and content joins us with the life force in ourselves, and in others . And that's not going to be easy. But I do believe that secrets and solutions exist in native cultures of the world. They spent thousands of years uncovering those possibilities, and enough has survived through different traditions for artists to find more than enough inspiration. I have taken the liberty of copying a wonderful article from Wild Ethics. It was so encouraging to discover these writings about Gaianism and a Conversant World. 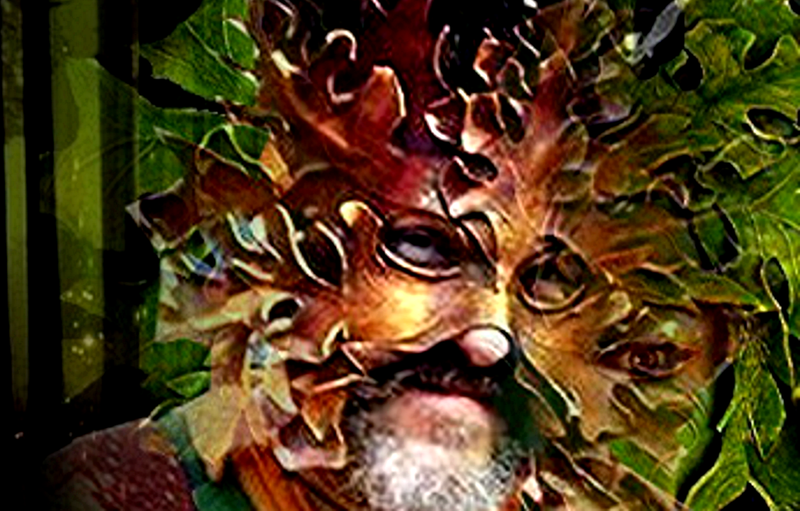 David Abram – cultural ecologist, philosopher, and performance artist – is the founder and creative director of the Alliance for Wild Ethics. He is the author of The Spell of the Sensuous: Perception and Language in a More-than-Human World (Pantheon/Vintage), for which he received the international Lannan Literary Award for Nonfiction. An accomplished storyteller and sleight-of-hand magician who has lived and traded magic with indigenous sorcerers in Indonesia, Nepal, and the Americas, David lectures and teaches widely on several continents. In the prosperous land where I live, a mysterious task is underway to invigorate the minds of the populace, and to vitalize the spirits of our children. For a decade, now, parents, politicians, and educators of all forms have been raising funds to bring computers into every household in the realm, and into every classroom from kindergarten on up through college. With the new technology, it is hoped, children will learn to read much more efficiently, and will exercise their intelligence in rich new ways. Interacting with the wealth of information available on-line, children's minds will be able to develop and explore much more vigorously than was possible in earlier eras -- and so, it is hoped, they will be well prepared for the technological future. It is possible, however, that we are making a grave mistake in our rush to wire every classroom, and to bring our children online as soon as possible. Our excitement about the internet should not blind us to the fact that the astonishing linguistic and intellectual capacity of the human brain did not evolve in relation to the computer! Nor, of course, did it evolve in relation to the written word. Rather it evolved in relation to orally told stories. Indeed, we humans were telling each other stories for many, many millennia before we ever began writing our words down -- whether on the page or on the screen. Spoken stories were the living encyclopedias of our oral ancestors, dynamic and lyrical compendiums of practical knowledge. Oral tales told on special occasions carried the secrets of how to orient in the local cosmos. Hidden in the magic adventures of their characters were precise instructions for the hunting of various animals, and for enacting the appropriate rituals of respect and gratitude if the hunt was successful, as well as specific insights regarding which plants were good to eat and which were poisonous, and how to prepare certain herbs to heal cramps, or sleeplessness, or a fever. The stories carried instructions about how to construct a winter shelter, and what to do during a drought, and -- more generally -- how to live well in this land without destroying the land's wild vitality. Many of us have already worked for several decades on ecological and bioregional initiatives aimed at renewing local economies and the conviviality of place-based communities. Yet far too little progress was made by the movements for local self-sufficiency and sustainability. To be sure, our efforts were hindered by the steady growth of an industrial economy powered by the profligate burning of fossil fuel. Yet our efficacy was also weakened by our inability to recognize the immense influence of everyday language. Our work was weakened, that is, by our inability to discern that the spreading technologization of everyday life in the modern world (including the growing ubiquity of automobiles and telephones, of televisions and, most recently, personal computers) had been accompanied by a steady transformation in language -- by an increasing abstractness and generality in daily discourse. Local vernaculars had fallen into disuse; local stories had been forgotten; the oral forms and traditions by which place-specific knowledge had once been preserved and disseminated were no longer operative. But does such a revitalization of oral, storytelling culture entail that we must renounce reading and writing? Not at all! It entails only that we leave space in our days for an interchange with one another and with the earth that is not mediated by technology – neither by the television, nor the computer, nor even the printed page. Among writers, for instance, it entails that we allow that there are certain stories that one might come upon that should not be written down -- stories that we instead begin to tell, with our own tongue, in the particular places where those stories live. And among educators, it entails that we begin to rejuvenate the arts of telling, and of listening, in the context of the living landscape where our lessons happen. For too long we have incarcerated the potent magic of linguistic meaning within an exclusively human space of signs. Hence the land itself has fallen mute; it now seems little more than a passive backdrop for human affairs, or a storehouse of resources waiting to be mined for purely human purposes. Can we return to the local land an implicit sense of its own inherent meaningfulness, its own many-voiced eloquence? Not without renewing the sensory craft of listening, and the sensuous art of storytelling. Can we help our students to translate the quantified abstractions of science into the language of direct experience, so that those abstract insights begin to come alive in our felt encounters with the animate earth around us? 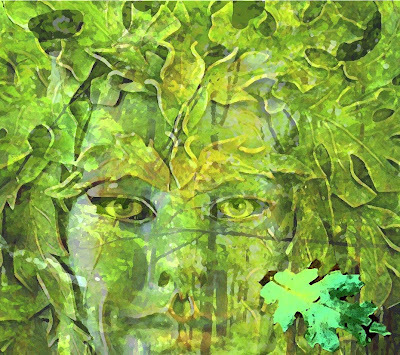 Can we begin to affirm our own co-evolved, carnal embedment within this blooming, buzzing proliferation of life, stirring within us a new humility in the face of a world that we did not create – in the face of a world that created us? Most importantly, can we begin with our students to restore the health and integrity of the local earth? Not without restorying the local earth. For our senses have become exceedingly estranged from the earthly sensuous. The age-old reciprocity between the human animal and the animate earth has long been short-circuited by our increasing involvement with our own creations, our own human-made technologies. And yet a simple tale, well-told, can shatter the spell – whether for an hour, or a day, or even a lifetime. We cannot restore the land without restorying the land. When oral culture degrades, then the literate mind loses its bearings, forgetting its ongoing debt to the body and the breathing earth. When stories are no longer being told in the woods or along the banks of rivers -- when the land is no longer being honored, ALOUD!, as an animate, expressive power – then the human senses lose their attunement to the surrounding terrain. We no longer feel the particular pulse of our place – we no longer hear, or respond to, the many-voiced eloquence of the land. Increasingly blind and deaf, increasingly impervious to the sensuous world, the technological mind begins to lay waste to the earth. 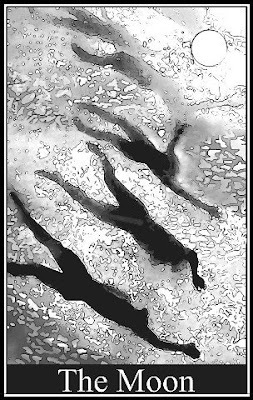 1 I am reminded here of the Australian Aboriginal ideas of the "Songlines", tracks in the land that bear the "stories of the land" and the ancestral beings. 3 I am inspired to copy, in my next blog entry, an interview I did with Dr. Rafael Montanez Ortiz, philosopher and artist I was privileged to meet. He had much to say along these lines 20 years ago when the interview took place. 4 "Story" includes the Numina, the participation of the intelligences of Place, and in this respect, the author is saying that an oral tradition is a much richer tapestry of direct experience that includes body movement, sound, the environment, and the various psychic energy exchanges that go on in the prescence of such. 5 IMMANANCE - as opposed to the theological concept of "Transcendance"
6 Mitakuye Oyasin. "All my Relations", the traditional Lakota blessing. I needed to do these pieces as "prayers" for my brother. They speak much better to me than words. 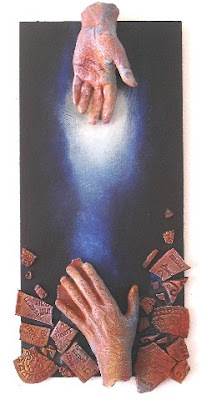 I had all of these wonderful casts of hands, and also tiles I made that i imprinted words and letters into..........words, syllables, sentences are what we create the stories of our lives with......but before the words, are the feelings, the belonging, the response, the one who sees and experiences. 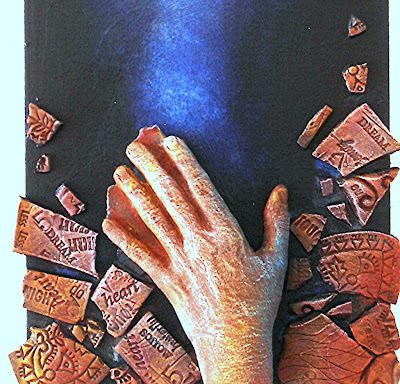 Perhaps dying is shattering all those "vessels" of words and ideas and constructs (and terra cotta pottery shards imprinted with words seems like a good medium for that concept) that we have allowed to define who we are are. Perhaps, leaving all the words and vessels behind, at last, we fly. "Form is empty, emptiness is form. conditioning, and awareness are empty. they are not born, they do not cease"
Somewhere within the "hoop" of who we are, within the space between the child and the old man or woman, the beginning place and the ending place.........in the middle is the heart. I think that above all is where our "soul making" has gone on. I think this is my favorite. 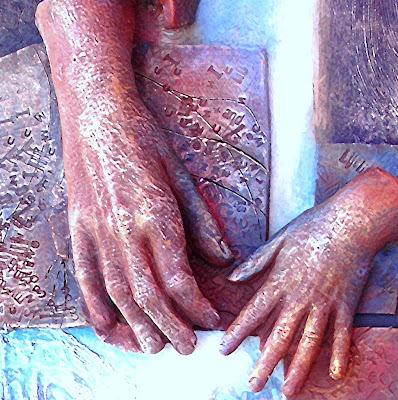 The Mother's Hand takes ours, and regardless of what artifice and awards and self-hate we have accumulated, as it dissolves in the greater being of Her compassion, we see that we are all just children. From that perspective, the place of the "rio grande", it is hard to conceive of not forgiving, and cherishing, everyone. This Reliquary has two potent symbols of transformation and rebirth to me - a feather left behind from the flight of a Phoenix, and the skin of a snake, eternal symbol of natures death/birth cycle. In the end, I think that's what we leave behind........artifacts, cast off skins, and stories that are containers for the imaginations of those left behind. But like these symbols, the end is also illusive. Somehow this image is very important to me. We ourselves are the great work of art in progress, and we ourselves are all connected to the Web of being. 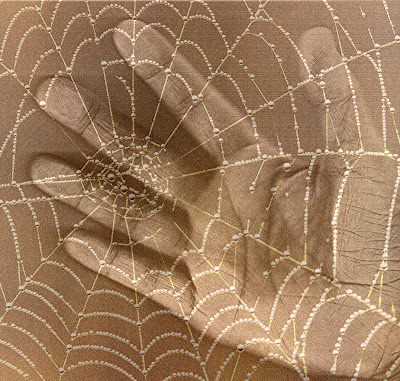 These are Spider Woman's hands, the Dream Weaver, weaving a new dream in the silence, the dark, the depths of our innermost being. Here are some verses from the Weaver Song performed every year at the Spiral Dance Ritual.